The Ford Escape was once an efficiency pioneer. It was the first hybrid SUV on the market in 2005, but Escape hybrids were discontinued in 2012. 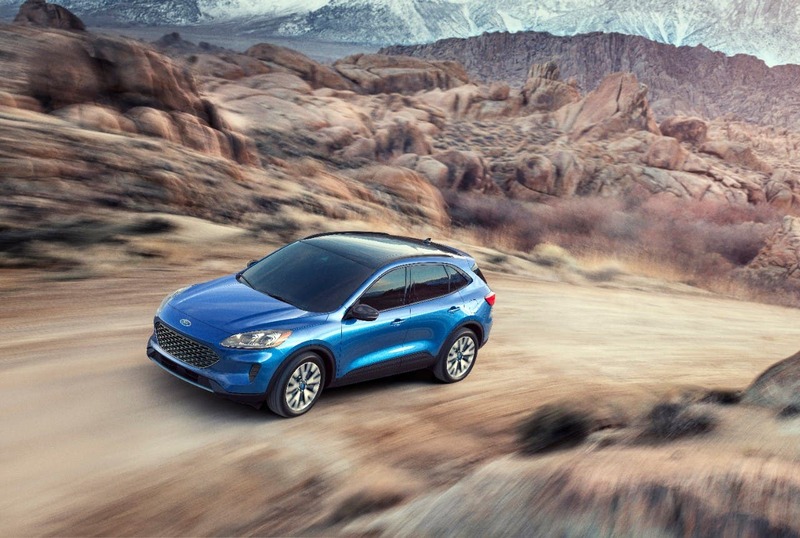 Now, 10 model years later, the Escape is going back to its roots with significant efficiency improvements and two new electrified propulsion options. While the Ford Escape is not as exciting for this audience as a Tesla Model Y, the vehicle is Ford’s second best selling model, only beat by the F-150. The reintroduction of the hybrid option and a new PHEV option will lower emissions and put many more electrified vehicles on the roads. Before we get to drivetrain options, it’s worth noting that Ford made several efficiency improvements that will reduce the emissions of every Escape, even the non-hybrids. First, the company reworked the roofline from something more squarish to a more sloped profile. Second, Ford optimized the rear spoiler and liftgate area to help reduce drag. Finally, the Michigan-based automaker modified the underbody (probably with smooth surfaces), to further reduce drag. All of these things come together to make the vehicle “the most aerodynamic to date,” with “class-leading” drag coefficients, but Ford did not share the exact drag coefficient numbers. Other improvements include weight reduction of over 200 pounds from current-generation Escapes through the use of lighter high-strength steels, and a new three-cylinder engine for non-hybrid base models. With the turbo, the engine can provide 180 HP and 177 ft·lb of torque, but can both bypass the turbo and deactivate a cylinder to provide better fuel economy when power isn’t needed. For customers wanting more power, there will be a 2.0L four cylinder option. The vehicle will be available with two electrified options: hybrid and plugin-hybrid (PHEV). Both hybrids come with a 2.5L four cylinder that runs in the Atkinson cycle like many other hybrids, producing 198 HP for the hybrid and 209 for the PHEV. Ford did not release torque numbers for either hybrid. Transmissions are an eCVT with a 2.94 final drive ratio. For the PHEV, the expected range is “over 30 miles” with a charging time of 11 hours on 110v “level 1” charging and 3.5 hours on 220v “level 2” charging. Battery capacity in kWh and charging rates in kW were not released. Ford did tell us that the vehicle comes with a liquid-cooled battery located beneath the second row of seats for minimum loss of interior space compared to other drivetrain options. The PHEV will come with four EV modes that allow the driver some control over the drivetrain, not unlike the discontinued Chevrolet Volt. In Auto EV mode, the vehicle decides whether to run on gas or electric power. In EV Now mode, the Escape runs on electric power only until the battery is depleted. In EV Later mode, the battery power can be saved for later. In EV Charge mode, the gasoline engine both powers the vehicle and charges the battery up for later EV Now use. All variants of the Escape will be available with several driver assist options. Active Park Assist 2.0 allows the driver to park in a parallel or perpendicular spot with the touch of a button, without having to work the steering wheel, gear shifter, gas, or brake pedal. Evasive Steering Assist detects a slower-moving or stationary vehicle ahead and provides steering support that can assist the driver to avoid an imminent collision, comes standard with Ford Co-Pilot360™, and makes available other driver-assist features such as Adaptive Cruise Control with Stop-and-Go and Lane-Centering. Higher packages will come with a heads-up display, and can come with a digital instrument display that is reminiscent of the Tesla Model S and Model X. Center consoles on higher packages will have an 8” touchscreen that shares information with the digital instrument cluster. The full specification sheet for all variants of the new Escape is available here.